Registration is now open for the Community Chorus Class with Ellie Grace, with classes available either Tuesday or Wednesday evening! Invite your friends and neighbors to join you and sign up to sing your way through the winter and into the warmth of spring. This cozy and welcoming group class in midtown KC is designed for both returning and new students. We will come together as a community to explore the fundamentals of harmony singing, build skills and confidence, expand healthy singing technique, and embrace the joy of making music. In this ten-week session, the chorus will learn a small repertoire of roots and Americana songs in two, three, and four-part harmony and develop creative arrangements. Mostly we will raise our voices in song! All music will be taught by ear and no experience is required. The season will culminate in a performance for friends and family in April! You can take individualized lessons or create a custom class with a small group of your friends, co-workers, or random people who share your love of music and dance! Lessons available in: clogging, cape breton step dancing, rhythm tap, irish step dancing, guitar, mandolin, ukulele, harmony singing, old-time band, singing with an instrument. Private lessons are $45/hr or $30/half hour. Small group rates vary depending upon the size of the group. Please contact me with questions, to ask about barter/sliding scale, or to sign up: elliegracearts@gmail.com or (573) 239-0430. 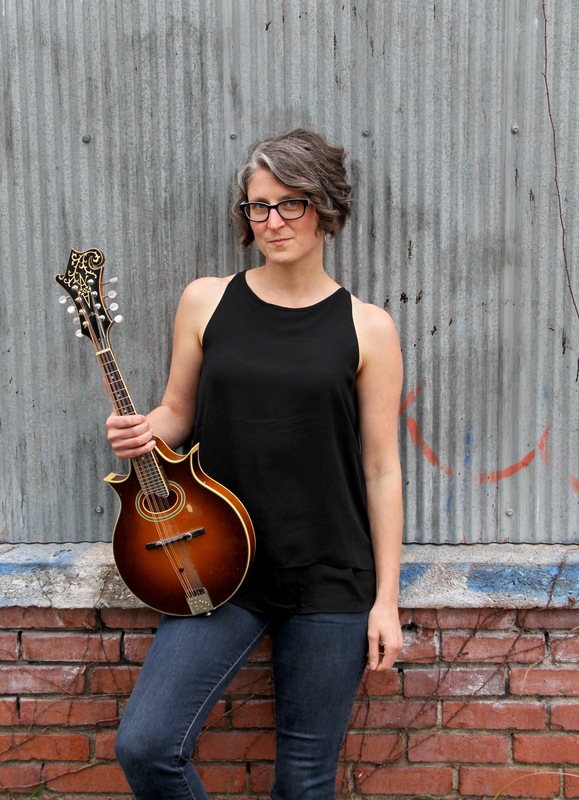 Ellie Grace is a powerhouse on the dance floor and a compelling instrumentalist, choreographer, songwriter, and singer who specializes in percussive dance (Appalachian clogging, Cape Breton and Irish step dancing, rhythm tap, and body percussion) and roots-based Americana music. Ellie has spent her life performing professionally across North America, first as a young member of her family band and now as an independent artist. From her early start in music and dance, she went on to become an award-winning solo artists, a member of multiple ground-breaking dance companies and bands, and the director of a Cape Breton step dancing troupe based in Asheville, NC. She has had the honor of being a faculty member and featured performer for the prestigious Beat Retreat, was a founding member of the fusion dance company Grace/Denney Dance, has toured internationally with her sister duo (Leela and Ellie Grace) and the renowned Dirk Powell Band, creates revolutionary music with her duo Claflin & Grace, is a core member of the all-female old-time trio Blue Eyed Girl, and has appeared on stage with the likes of Peter and Paul (of Peter, Paul, and Mary) and Janis Ian. Having continually honed her teaching skills in order to make the art forms that she loves accessible to others, Ellie is now highly respected as a dynamic and passionate teacher. In addition to founding and directing schools of traditional music and dance in Missouri and North Carolina, she has been a master teacher at innumerable camps, festivals, and schools across the continent for over twenty years. In 2007, she was recruited to create and instruct an undergraduate dance course surveying styles of percussive dance at the University of North Carolina—Asheville. In 2013, Ellie was chosen as one of only four Teaching Fellows in the dance department at Smith College. She spent the following two years sharing her deep love of percussive and social dance with her inspiring students at Smith and Mount Holyoke College. In the culmination a lifetime of performing and teaching, Ellie received an MFA in Dance Performance and Choreography from Smith College in May of 2015. She was a Visiting Artist in Dance at Mount Holyoke College for 2016.